The main difference between a “Man and Van” and a “Removal Service” is whether the price of your move is calculated on an hourly rate over the phone by one of our experienced operators or whether we send an estimator to visit your home and give you a fixed price. The option we advise you to go for will often depend on the size and complexity of your move. For example, moving just a few boxes and a couple of pieces of furniture is best suited to an hourly rate man and van service, where as is it safer to provide a fixed price quotation for a full four-bed house relocation. If you are unsure of whether you will need one, two or more of our movers, simply use our online Price Checker, or contact us directly. Each move is unique, and our experienced and fully trained staff are flexible and prepared to handle a variety of tasks. This ranges from disassembly of furniture to packing your fragile items, and of course, the actual move itself. 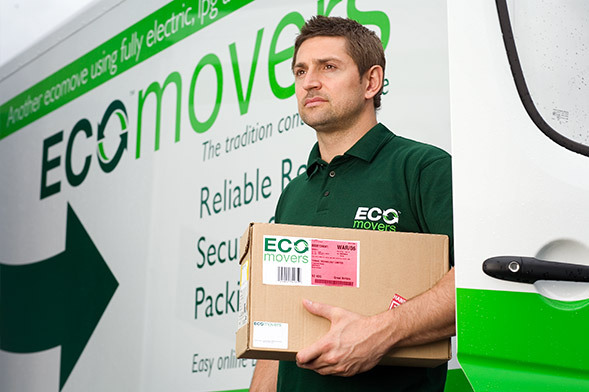 Whether you require a man and a van to move a few items, or you are in need of a full removal service to pack up and move the entire contents of your family home, Eco Movers will offer a professional, stress free moving service at an affordable price. When booking man and van services, you want someone you can trust to move your possessions. Rest assured that your valued belongings will be in safe hands throughout the moving process, allowing you to focus on settling into your new home.